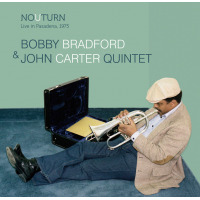 Venerable West Coast-based trumpeter, cornetist and instructor, Bobby Bradford has carved out a big slice of modern jazz history due to his recordings and performances with iconic jazz artisans, reedmen Ornette Coleman, John Carter, Eric Dolphy and bassist Charlie Haden among other luminaries. 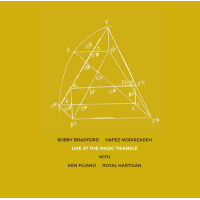 On this superb release recorded at the University of Massachusetts as part of the Magical Triangle Jazz Series, he shares the billing with saxophonist, recording artist and leading-edge music theorist, Hafez Modirzadeh. With first-call support specialists, bassist Ken Filiano and drummer, Royal Hartigan, the album duly highlights the musicians group-focused chemistry and distinct characterizations they bring to the vanguard. And while I was provided with a promo CD, consumers will need to purchase the LP, which is slated for an initial run of 500 copies. Bradford solely uses the cornet and launches the opener "She," by making his horn talk, laugh and weep, propelling the events into a loosely flowing vibe amid an airy theme that evolves atop a slow gait, in concert with searching choruses, enveloped with mystical overtones. But "Silhouette," is a heated jaunt, escalated by Filiano's frenetic arco lines. As the quartet's variegated mode of execution continues during "Bayraktar," which is a composition designed with the hornist's spirited unison choruses, yearning notes and layered themes, for what stacks up to be a deeply personal medium-tempo ballad. "Wadsworth Falls" is an extended piece that highlights the multidirectional aspects of the band. Constructed like a suite, Hartigan kicks off a pulsating African jazz type groove in concert with Filiano's prominent lines and robust line of attack. However, Modirzadeh's bold and commanding lines are offset by his playful dialogues with Bradford, adding a clever component to the up-tempo movements, along with contrasting call / response maneuvers. No doubt, the hornists are masters of invention as they goad each other into newly created mini-plots and by dishing out changeable melody lines in spontaneous or controlled fashion. The drummer also intersperses a Latin-jazz pulse with rolling toms patterns into the divergent storyboard. 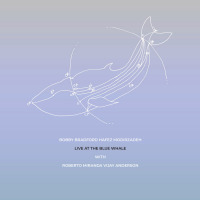 No doubt, each composition is a standalone treat, honed down by the artists' extraordinary communication skills, enviable technical gifts and tantalizing improvisational frameworks. Track Listing: She; Silhouette; Bayraktar; Wadsworth Falls; Ashes. 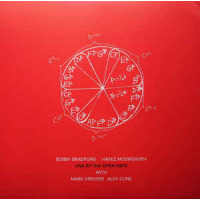 Personnel: Bobby Bradford: cornet; Hafez Modirzadeh: tenor saxophone; Ken Filiano: bass, effects; Royal Hartigan: drums.